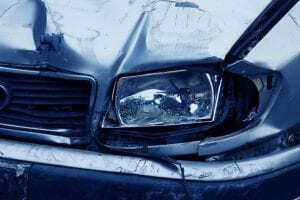 Kingston, NY (October 5, 2018) – A 90-year-old man in Ulster County is fortunate to be alive today after his car crashed into a railroad tunnel after being involved in a motor vehicle accident on Thursday morning, October 4. The crash took place at around 9:17 a.m. in the vicinity of Delaware Avenue and Hasbrouck Avenue. Robert Gorsline became involved in a rather small traffic accident with another vehicle, however, the crash ultimately sent his vehicle over the edge of an abandoned tunnel top. Gorsline’s vehicle landed on its front-end and stayed in an upright position. Gorsline was trapped inside the vehicle until emergency crews could arrive and free him. Emergency personnel arrived on the scene and quickly transported Gorsline to Mid-Hudson Regional Hospital where he had to be treated for back and neck injuries. The driver of the other vehicle was evaluated at the scene. There were no more details made available pertaining to the cause of this accident. Police are actively conducting a thorough investigation into the events that led to the crash. Above all else, we would like to extend our sincerest sympathies to both parties who were involved in this accident as we certainly maintain hope for Robert Gorsline’s full recovery. It is important to realize that even if a victim is able to decline hospitalization for any injuries at the time of a crash, a New York car accident can leave one with extremely serious delayed injuries that they may not notice right away. At Hach & Rose, we are well aware of the massive damages that are so-often caused by negligent and criminal drivers, and we are passionate about holding those individuals accountable. If you have suffered any injuries due to a negligent or criminal driver, call 212-779-0057 today.